These concepts are no longer rumors! Several new rides and attractions for Walt Disney World have been officially announced at the D23 Expo in Anaheim yesterday. They are planned to open over the next several years, and all of them will be ready in time for the resort’s 50th anniversary in 2021. From rats and mice to coasters and guardians, there’s a lot to digest. All of these were concepts we’ve discussed on the site prior, but it’s exciting to finally get official artwork and acknowledgement of their existence! Over the coming weeks we will dig deeper into each and every one of these varied projects and more, but for now let’s go over them all real quick. 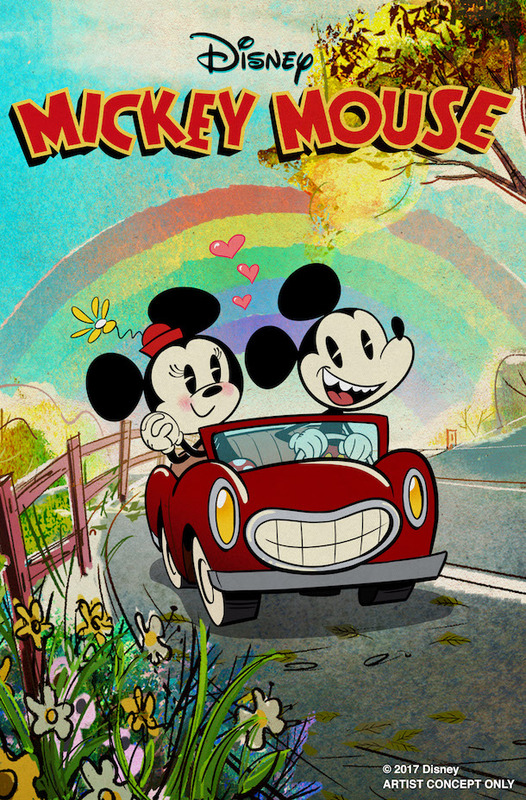 Mickey Mouse’s first full-blown ride is coming to Disney’s Hollywood Studios. Mickey and Minnie’s Runaway Railway will be taking over The Great Movie Ride, which will have its last day of operation August 13, 2017. The new ride will be based on the hilarious Mickey Shorts shown on the Disney Channel and the Mickey Mouse YouTube channel. Not only will the new ride feature an all original storyline, it’ll be the first Disney attraction in many years to feature its own original song. 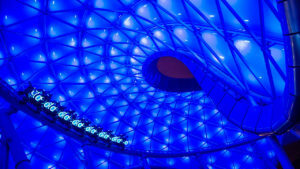 The ride will utilize a new projection mapping technology as well as multi-dimensional set-pieces that give the illusion of 3-dimensions, without the use of 3D glasses. While I’m certainly sad to see The Great Movie Ride go, it’s nice to be getting a completely original and fresh new attraction at the parks, especially one using an all new type of technology. No word yet on an opening date but many speculate it will be open in 2019 to help alleviate the crowds around the Star Wars land opening. 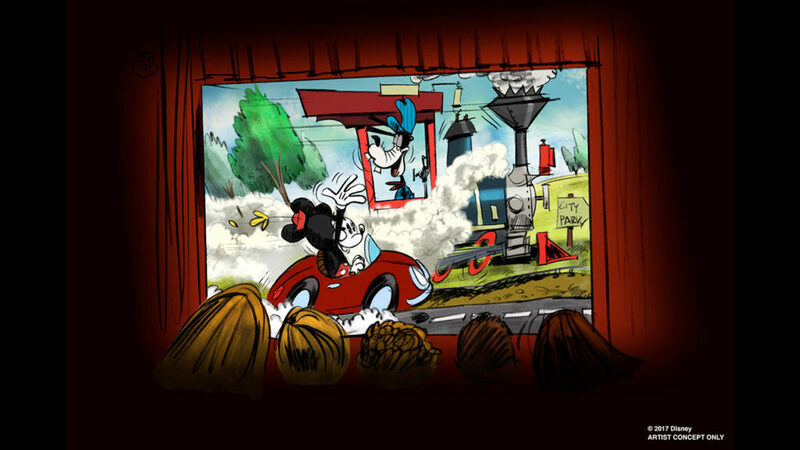 Stay tuned for a complete run-down for Mickey and Minnie’s Runaway Railway coming soon. 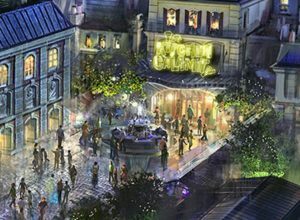 After years of hoping and another year of rumors, the 3D trackless adventure ride based on Disney-Pixar’s Ratatouille is headed for Epcot’s France Pavilion. 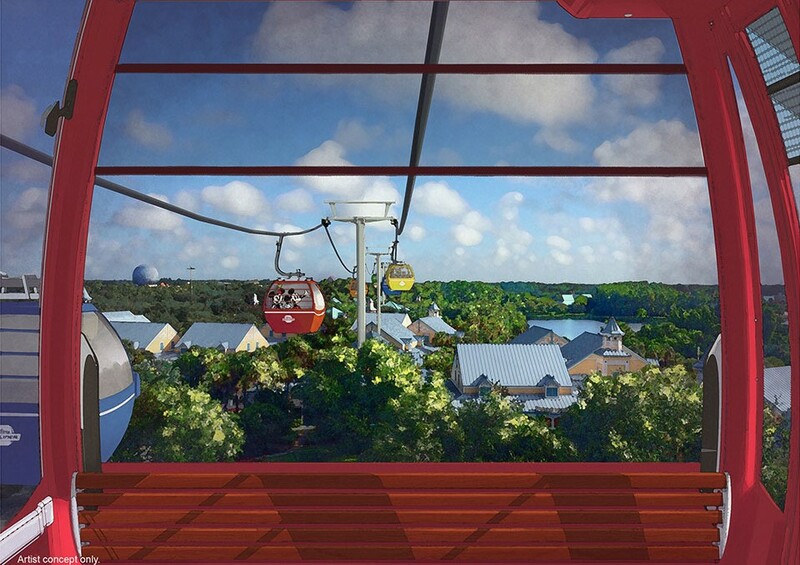 This ride will expand the France area, and will not replace any of the existing area. 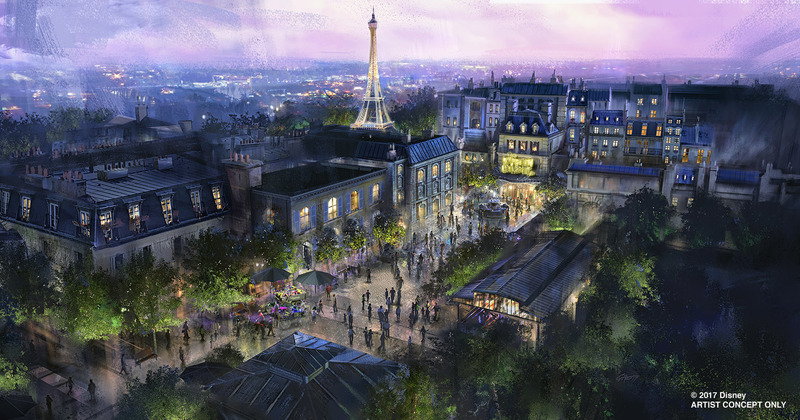 Disney is saying that this new attraction will be “similar” to Ratatouille: The Adventure that opened at the Walt Disney Studios Park in Paris in 2014, so hopefully some minor improvements will be made for the new version. The ride is similar in style to the Spider-Man ride at Universal’s Islands of Adventure with a blend of practical sets and 3D screens, except it utilizes a trackless ride system similar to Antarctica at SeaWorld Orlando. The story has us shrunk down to the size of a rat, as we follow Remy in a chase across the kitchen of Gusteau’s Parisian restaurant. The ride’s name has not yet been officially announced, but it looks like it might be “Remy’s Kitchen Calamity” according to the concept art. This was the original title for the attraction in Paris before it changed prior to opening. Prep work for construction has already begun at Epcot. The ride is expected to open sometime before the 50th anniversary in 2021. We will be covering construction on this attraction beginning next month here on the website! What we do not know, at least not for sure, is what type of ride this will be. Rumors have been swirling for months that it will be an immersive indoor coaster, that may feature some outdoor scenes. It will begin with some show scenes before speeding up and getting more thrilling. Disney claims it will adhere to the “original vision of Epcot’s Future World as the place to experience the excitement and adventure offered by space travel.” They also claim that Star-Lord himself, Peter Quill, actually visited Epcot Center as a child, and that will somehow play into the attraction. Whatever the Guardians of the Galaxy attraction ends up being, it’s definitely something completely new for Epcot’s Future World, and it will be interesting seeing how Disney manages to tie the story into Epcot. We will be covering construction for this new ride, as well as discussing more possible ride system rumors over the coming months, so stay tuned! The rumor of this attraction coming to the Magic Kingdom came about suddenly and strong over the last few weeks leading up to the D23 Expo. Just a year ago it was a shoe-in for Epcot, but here we are. 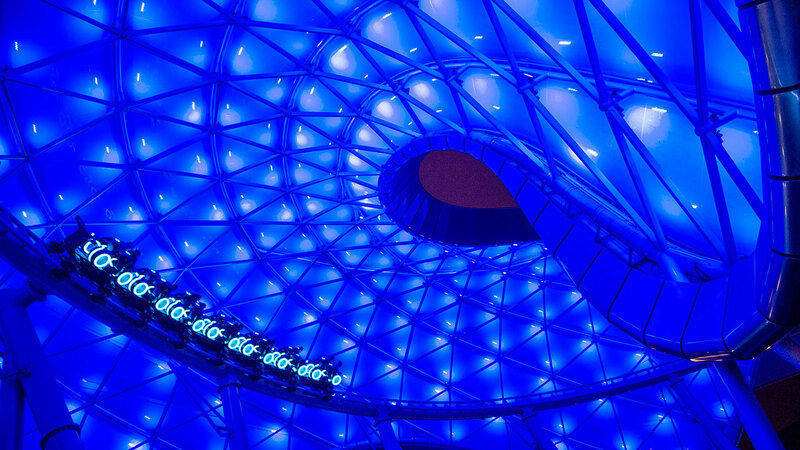 Now officially announced, the Tron Coaster from Shanghai will be added to Tomorrowland in the Magic Kingdom. This attraction will not be replacing the Tomorrowland Speedway as initially reported by many outlets. In fact, it will not be replacing anything. 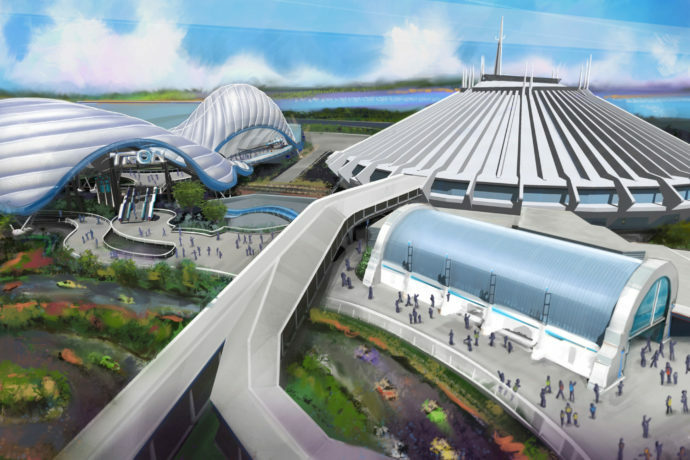 Instead it will be built on an unused expansion pad, just outside the railroad track, directly beside Space Mountain. It will be located behind the Tomorrowland Speedway. No word yet on whether or not this means the Speedway will see an update, perhaps even a Tron re-theme, but we will keep you posted on this. Many speculate that when this new coaster opens, sometime prior to the 50th anniversary, they may close Space Mountain for an extensive refurbishment and re-track. Stay tuned for construction updates for this new Tron coaster ride over the coming years! 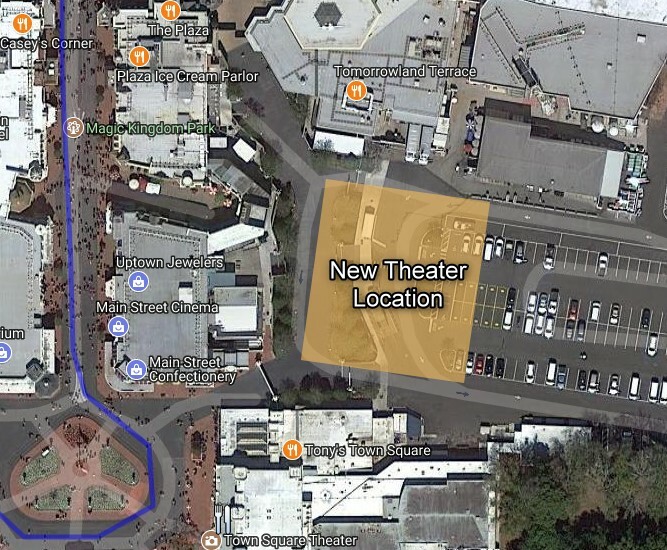 While there hasn’t been any announcements regarding what types of shows we can expect to find here, a new theater has been announced for Main Street, U.S.A. 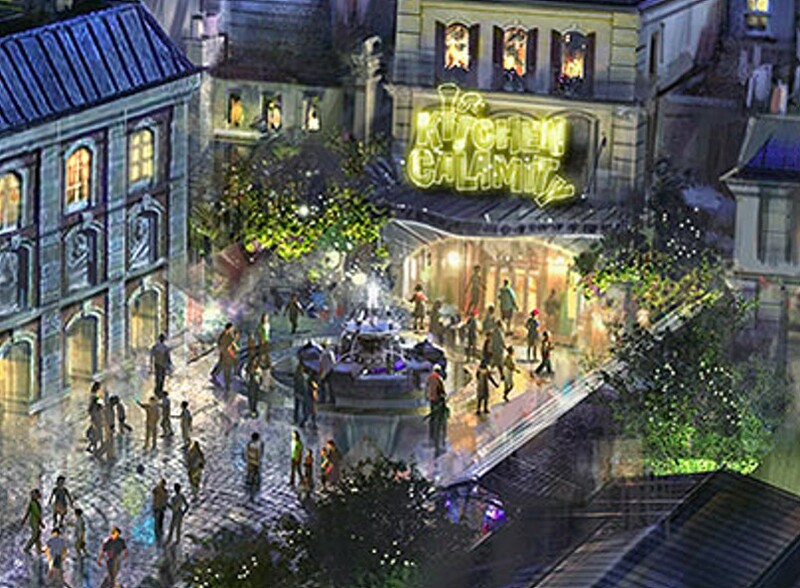 This new venue will allow Disney to offer new shows like Frozen Live at the Hyperion in Disney California Adventure. The building’s design is based on the iconic Willis Wood theater in 1920s Kansas City, where Walt lived after he left Marceline. It will be built on the fairly new Main Street bypass road, behind Main Street proper. This new bypass was opened to help with crowd control at the end of the night and after parades. 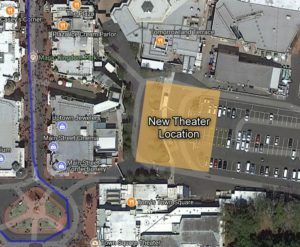 It runs parallel to Main Street with openings near the Plaza Restaurant on one side and Tony’s Town Square Restaurant on the other. Efforts have been made to begin theming the backside of the Main Street buildings now that they are within the view of guests, and this new addition will go along way to beautify the area. This theater is not replacing anything, except part of an executive parking lot in the backstage area that is. It’s always a welcome idea to have new additions added to the parks, rather than replacements. We’ll keep you posted on this new theater. Toy Story Land, Star Wars, and More! As we guessed, Toy Story Land will be opening Summer of 2018. It will feature two main attractions: Slinky Dog Dash family coaster and Alien Swirling Saucers spinning ride, as well as a new entrance for the existing Midway Mania ride. You can learn more about the land here. The Star Wars themed lands, opening in 2019 at Disneyland and Disney’s Hollywood Studios now have an official name: Star Wars: Galaxy’s Edge. And it has been officially confirmed that the Disneyland version will open before our version here in Orlando. 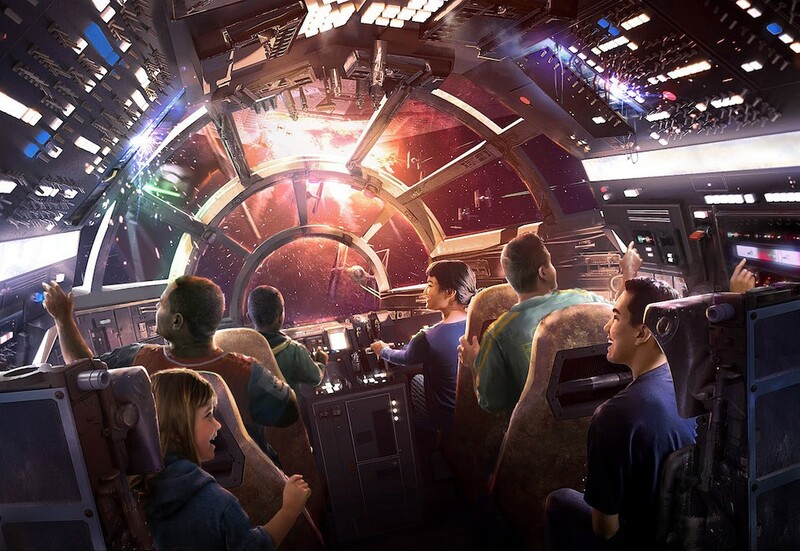 The lands will feature two major attractions: One that allows us to pilot the the Millenium Falcon and the other will take us on a battle between the First Order and the Resistance. A Star Wars themed hotel was also announced for Walt Disney World. We will have more on these Star Wars projects soon.